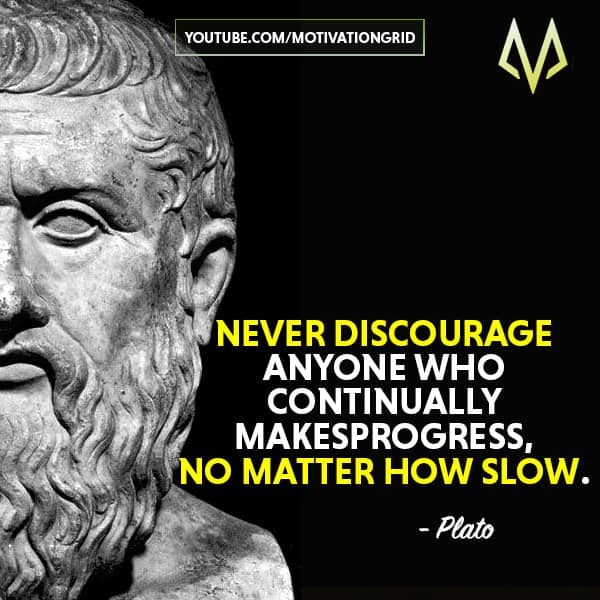 Plato (c. 428 BCE – c. 348 BCE) was a Greek philosopher, writer, teacher, public speaker, and Socrates’ most brilliant student. Because there aren’t any biographical sources from his time, we can know more about him from his writings and biographies were written 500 years after his death. Plato‘s philosophy forms much of the foundation of Western civilization. He laid the groundwork for ethics, aesthetics, epistemology, metaphysics, and early forms of science. We’ve crafted this selection of profound Plato quotes to bring you closer to the wisdom of his philosophy. Born into a family of nobility, Plato probably received some of the finest Athenian education of his time. In his youth he wrote poetry, studied painting and wrested, displaying his impressive physique. However, that all changed when he met Socrates, and Plato was inspired to become a philosopher, and to seek a career in politics. Initially, he received education in metaphysics (the study of reality) and epistemology (the study of knowledge). He gave up on a potential career politics after Socrates was sentenced to death by the Athenian government. Instead, Plato chose to travel and learn everything he could about philosophy, mathematics, science, and religion. He studied mathematics in Italy, and geometry, geology, astrology, and religion in Egypt during his travels. After 12 years, Plato returned to Athens and founded The Academy, the first organized school in Western Civilization. His brightest student was Aristotle, who later became a mentor to Alexander the Great, and greatly developed philosophy. Later in his life, Plato wrote extensively, covering almost every discipline of human knowledge, most notably his Dialogues. His legacy remains a testament to human brilliance, and he is an idol among seekers of truth. 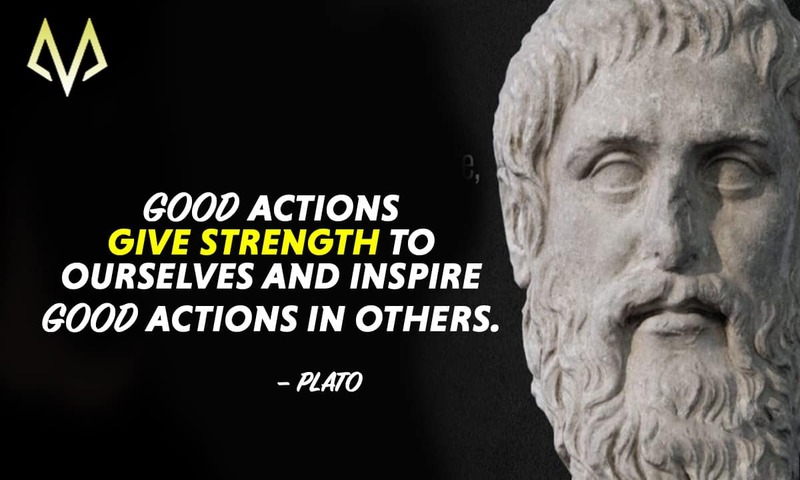 Plato’s teachings are a testament to the fact human behavior hasn’t changed much since 2,500 years ago. I present you the 21 profound Plato quotes we’ve selected to improve your philosophy of life. Thank you for viewing our collection of profound Plato quotes! If you appreciated this article, share it with others on social media. Which Plato quotes to inspire you the most? Share your thoughts in the comments below.